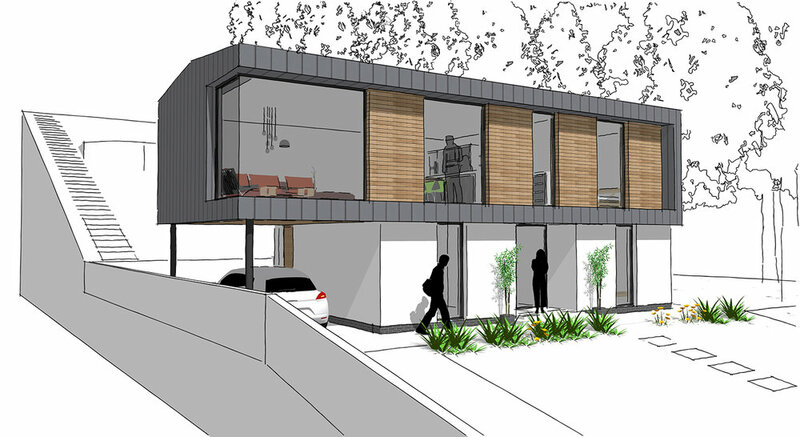 This is a design for a replacement contemporary coastal home in Portrush, Co. Antrim. It sees the demolition of the existing tired 1960’s bungalow in place of a modern and contemporary alternative. The proposed replacement house is over two floors with living accommodation on the first floor taking advantage of the elevation and sea views, and bedrooms and snug space on the ground floor. A modern but restrained pallette of materials is proposed in zinc, white render and dark stonework. The building will be super insulated with triple glazing and a contemporary interior to match its exterior. The project received planning approval in October 2014 and was completed in March 2016.